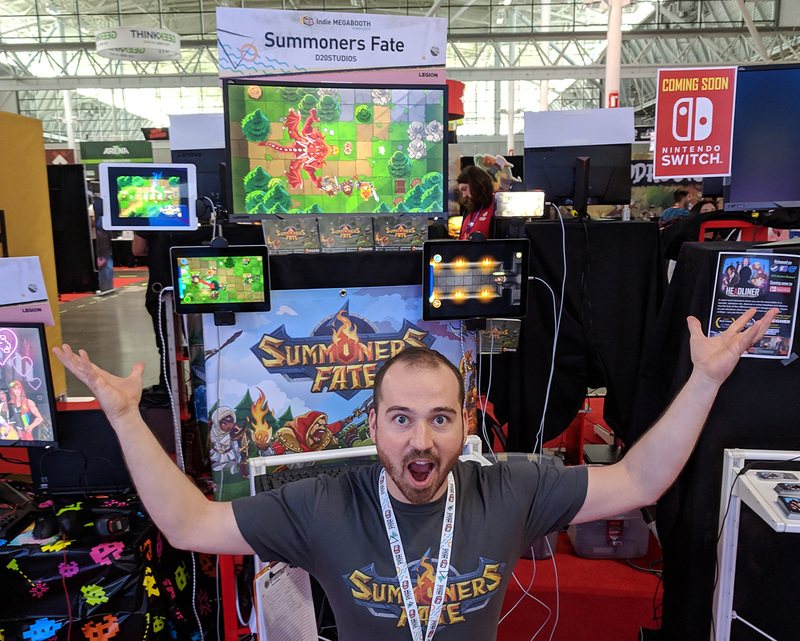 Summoners Fate is a fast and fun turn-based adventure where you use top-down tactical combat and collectible card mechanics to master your strategy. All in total, we had 149 sessions and 42 total email registrations for a total budget under $2660(including booth, hotel, travel, food and marketing materials). 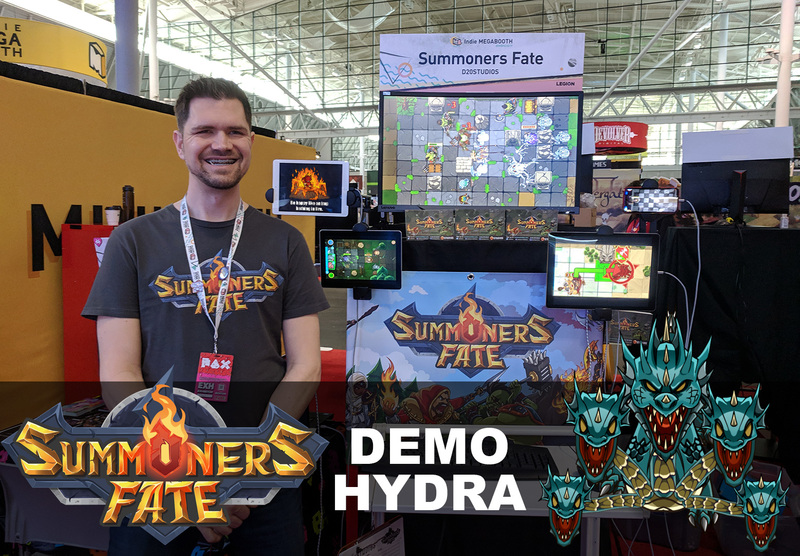 By comparison, our PAX West showcasehad 76 sessions, 37 email sign-ups, so the hydra had the effect of doubling our total sessions. Our conversions are more similar to our Dreamhack showcase. There we had 142 sessions and 49 sign-ups, but with a 10x10 foot booth over 3 days instead of 2. 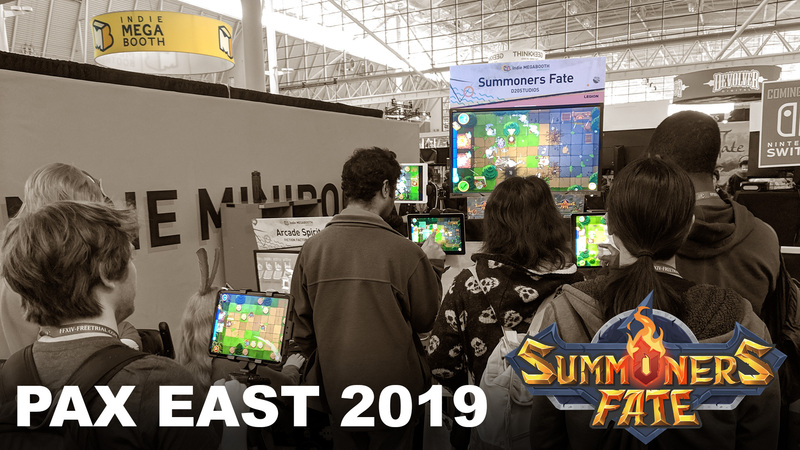 My theory is that a more crowded booth creates a less intimate experience where folks are less inclined to register their email. However, I prefer to let the game speak for itself. Time spent with us is an investment that raises brand awareness and breeds familiarity and likeness with our game. 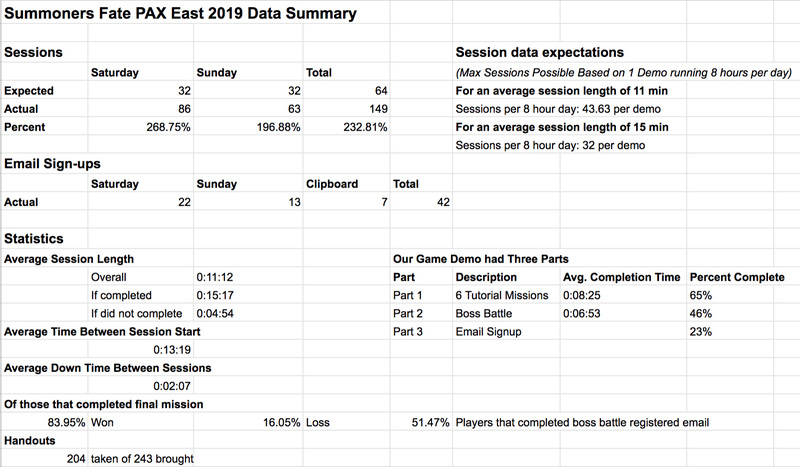 In aggregate of all three showcases, I believe our data may also suggest our demo is about 2 levels too long and that we could increase completion and conversion by shortening the experience and adjusting the difficulty on the earlier levels.